In my last post, I mentioned that I was visiting San Diego and working off a previously established area Bloody Mary Bucketlist of sorts provided by Thrillist. My next stop was Great Maple. Let me first just say I was bummed that when I went there I was only planning on having a drink (i.e. I had already had a meal) because their menu looked great and the food looked even better. 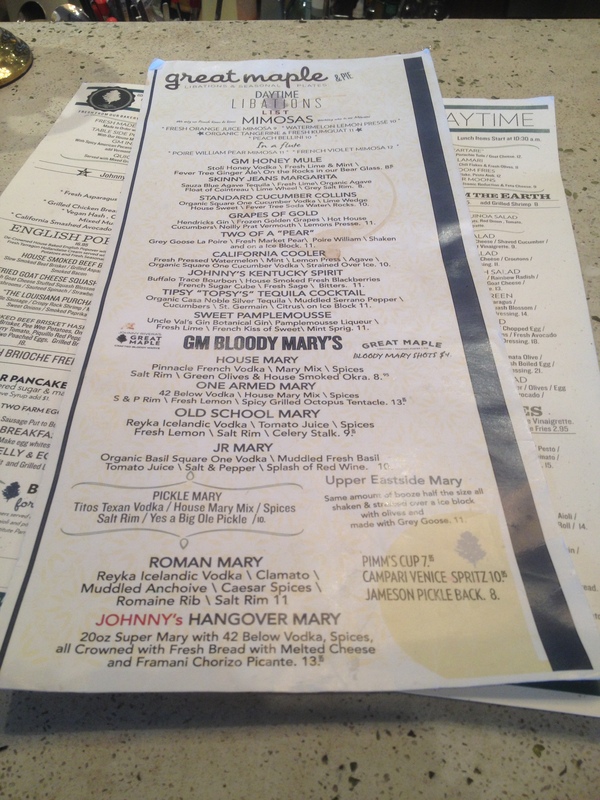 Here, I discovered not just a great Bloody Mary, but a whole Bloody Mary MENU (something kind of common for San Diego I would come to find out). I have to admit, I was a little overwhelmed. 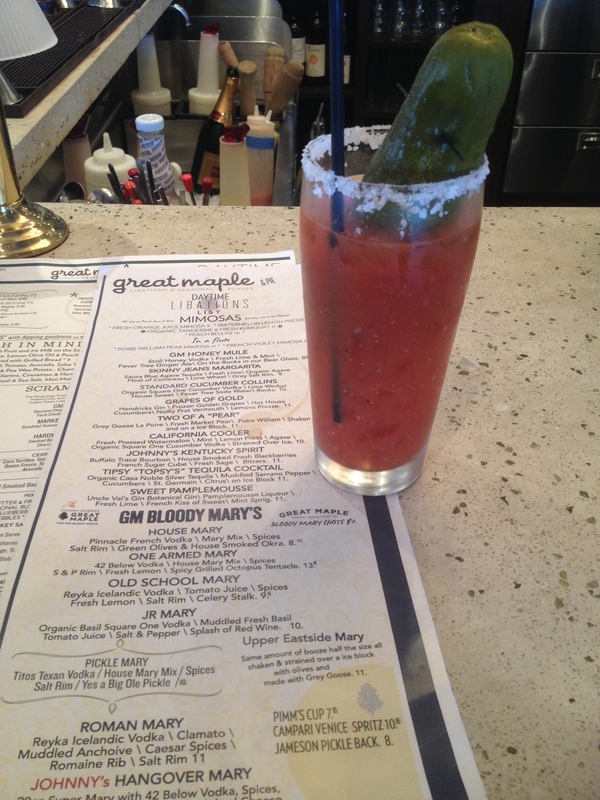 So many Bloodies, so little time!